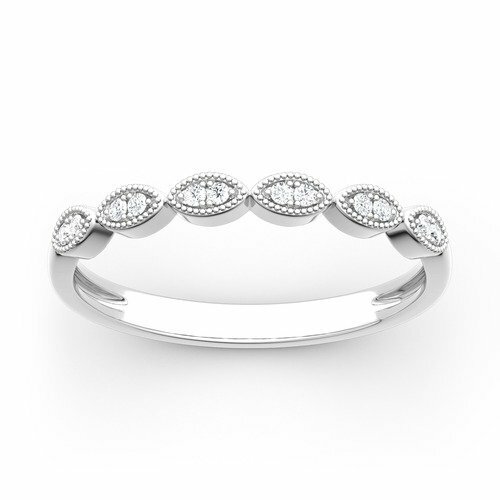 Treat her to this eye-catching work of art. 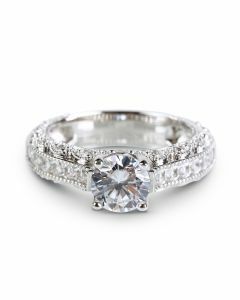 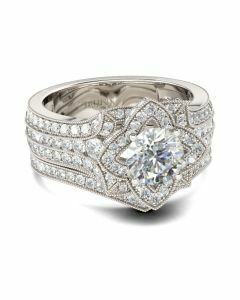 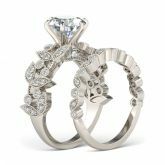 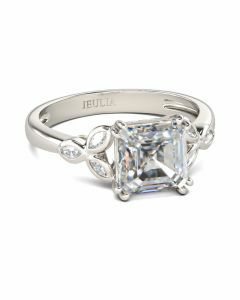 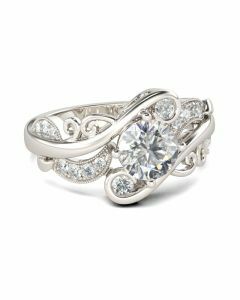 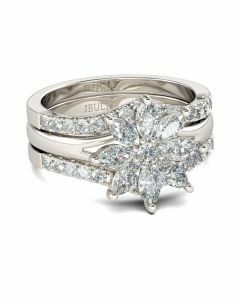 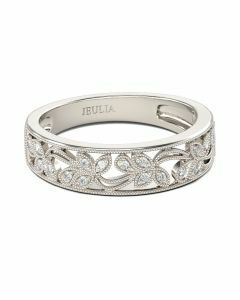 A ring style unlike any other she owns, this intricate sterling silver design features leaves of shimmering stones decorate the shank, while a brilliant round cut stone sparkles at the center. 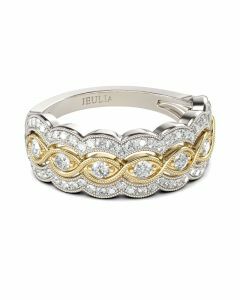 Beautifully shimmering, this matching band speaks to her love of nature. 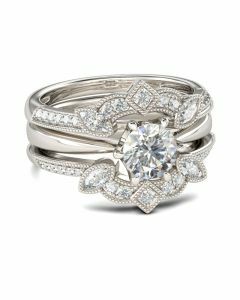 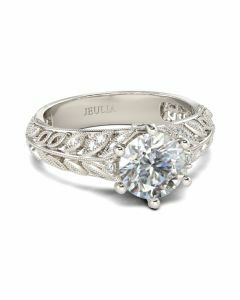 A leaf-inspired look for her, this shimmering ring set suits her feminine style.